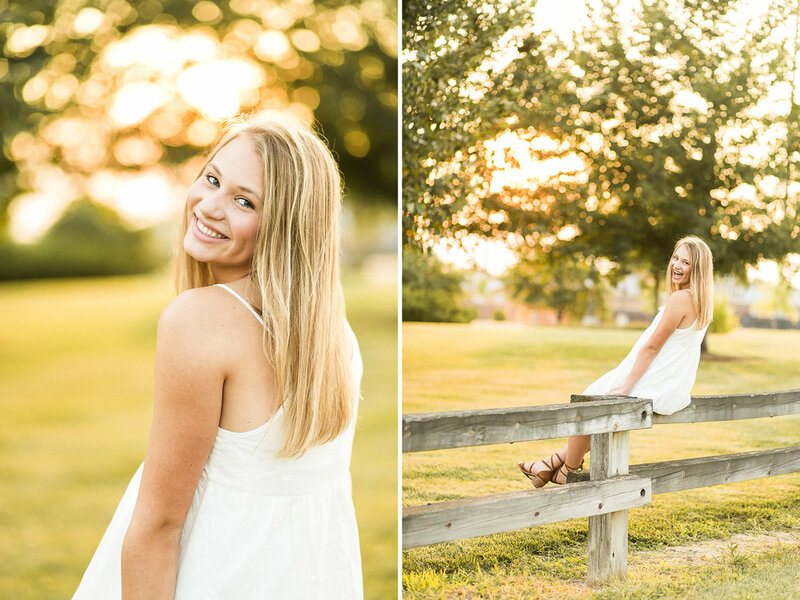 Anne's senior session was the perfect summer shoot -- blooming flowers, bright colors, and a gorgeous sunset to top it all off. I just love shooting during this time of year because everything is alive and flourishing! Anne just started her senior year at West Side (RDP!) and is a member of the school's golf team. For her shoot, we decided upon a mixture of town and rustic settings. I especially love how she chose to style her look by keeping it simple by pairing trendy pieces in neutral colors. This worked perfectly with the variety of locations we went to! I also had the privilege of taking Anne's older sister's senior pictures, so that made this shoot extra special! Not only is this girl sweet, confident, and stunning, but she has such a beautiful smile! Like the kind of smile that just makes you smile too :D Keep scrolling to see what I mean! I hope you enjoy every second of your senior year, Anne! Congrats!